Habitat for Humanity seeks experienced residential construction volunteer to regularly lead groups of construction volunteers. The Development Assistant Volunteer will perform a variety of office tasks depending on project deadlines in the Independence office. This will include typing and sending donation acknowledgments, making phone calls, data entry, scheduling meetings, and other administrative tasks as assigned by the Development Director. 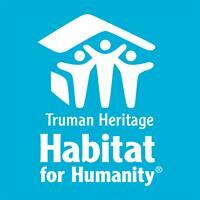 This position helps to extend the resources of Truman Heritage Habitat for Humanity to better assist our supporters and those we serve. Help bridge the digital divide through instructing digital literacy classes. Avon does it with makeup. Tupperware does it with plasticware. 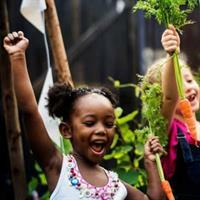 What would happen if we approached backyard edible gardening with the same kind of zeal? And only required seeds as payment? Clement Waters Retreat is taking a new approach toward urban agriculture education. Building food wealth from a living room near you!